Like a virus, or any other pathogen, “security” (of the police-state variety) goes wherever it can, typically creeping into the lives of marginalized or vulnerable populations and communities, and gradually and detrimentally transforming them in the process. In the name of Homeland Security, there are no limits—or at least so it often seems. It is hard not to draw this conclusion after reading a recent report by the Immigrant Rights Clinic at the NYU School of Law, the New York Civil Liberties Union (NYCLU), and Families for Freedom, a Manhattan-based organization that fights deportations. 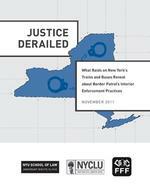 Entitled “Justice Derailed,” the report focuses on Border Patrol enforcement practices on Amtrak trains and Greyhound or Trailways buses in northern New York State. 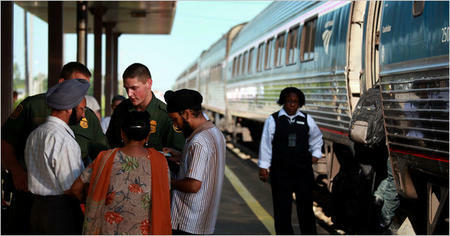 As discussed in a 2010 New York Times article, armed Border Patrol agents now regularly board trains running along New York’s east-west Amtrak rail route BP agent on board. Credit: Todd Heisler/The New York Times, question passengers about their place of birth and citizenship, and arrest and detain individuals who they suspect and who cannot produce what they deem to be satisfactory immigration papers. This practice is one of the ugly side-effects of the Homeland Security apparatus that has emerged since 9/11. The Border Patrol has been policing passenger trains and buses since the late 1990s as part of the "war on drugs," but in the aftermath of September 11, 2001 it increased the practice exponentially. Today, agents loiter in depots and board trains and buses in places ranging from Havre, Montana, to Pompano Beach, Florida. Percentage-wise, the U.S.-Canada border region has seen massive growth in boundary and immigration-related enforcement resources. The number of Border Patrol agents in the region (currently about 2,000), for example, has quintupled in less than a decade. 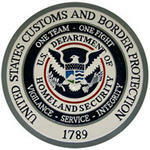 Given the very low number of unauthorized crossing of the northern U.S. boundary, the agents need something to do. So, as the “Justice Derailed” report painfully illustrates, the Border Patrol focuses on interior policing. The invocation of terrorism, it turns out, is a smokescreen. The report bases its analysis on a random analytical sample of all the arrest records of the Border Patrol’s Rochester Station from 2006-2009. It finds that the majority of the station’s arrests involve transportation raids in the interior, far from the actual boundary or any official port of entry. Of those arrested, 76% had been in the United States for more than a year, and 12% had been in the country for than 10 years. More than 73% of the arrestees were immediately jailed in a detention facility—despite almost none of them having been screened to assess flight risk or level of threat to the community—rather than processed and released until their immigration cases were adjudicated (many detainees have pending cases when arrrested). As journalist Sasha Abramsky noted in a 2005 article in The Nation that looked at Border Patrol sweeps on Amtrak trains passing through Montana, "expensive, resource-intensive Border Patrol activities provide the illusion of counterterrorism effectiveness while mainly netting only tourists who have overstayed their visas, illegal immigrants from Latin America hopping around the country in search of jobs, and would-be refugees and asylum seekers." As is frequently the case with such indiscriminate policing efforts—especially in the case of an agency that has deployed arrest quotas for its agents—Border Patrol agents scrutinize anyone who looks or sounds like they don’t belong. Credit: Todd Heisler/The New York Times In that regard, it is hardly surprising that the non-white, and those whose U.S. English sounds as if they are non-native speakers, are the typical targets, leading many U.S. citizens to be swept up in the dragnet of harassment. For such individuals, the right to travel within the United States is increasingly threatened as they are often required to prove, despite their U.S citizenship, that their very presence in the United States is lawful. The Border Patrol and the CBP respond to such criticisms by pointing out that no one is compelled to answer their questions on train, buses, or at transportation depots. While few exercise such a right (out of fear, ignorance, or worry of the trouble a non-cooperative response might incur), one has the right to not answer. But as Nancy Morawetz, a professor at NYU Law, co-director of the Immigrants Right Clinic, and co-author of the report, contends, this right effectively applies only to people like Nina Bernstein. 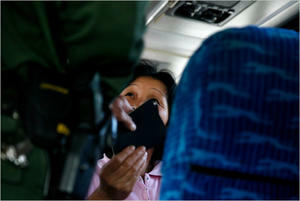 A New York Times reporter, Bernstein refused to answer a Border Patrol agent on an Amtrak train in Buffalo, NY. Bernstein (who describes herself in the blog post she wrote about her experience as “a white woman in jeans who had spoken American English with no accent”) experienced no trouble as a result. The agent simply moved on to the next passenger. In her 2003 book, Trauma and the Memory of Politics, political scientist Jenny Edkins asserts that the modern state is a bundle of contradictions: “a promise of safety, security and meaning alongside a reality of abuse, control and coercion.” In the era of Homeland Security that “reality” is becoming increasingly evident—in the U.S.-Mexico borderlands and far beyond. If you’re reading this in the United States and you live within 100 miles of the country’s perimeter—what the Border Patrol claims as its rightful zone of policing and where two-thirds of the U.S. population resides—the Border Patrol could soon be coming to a town, bus, or train depot near you. But there’s no need to worry, its spokespeople will be sure to tell you. It’s for your own security.